We love lemons. They are used so often in our kitchen that we always try to have some on hand. 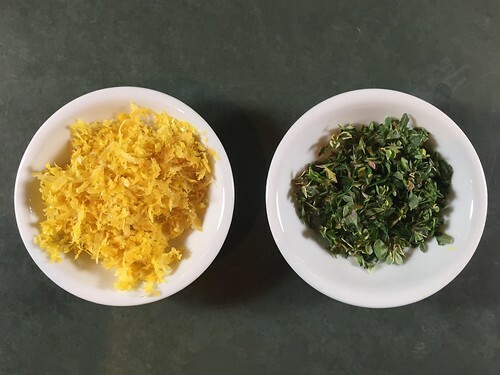 Their tangy flavor can add zing to so many foods, brightening and enhancing a variety of dishes. A splash of lemon can be the perfect final touch, elevating other ingredients with its lively kick. However, when you feature lemons, like in this recipe, combining them with garlic and fresh herbs, they have their chance to truly shine. This delicious pasta, bursting with flavor, yet simple enough for a weeknight dinner, has quickly become one of our favorite meals. This originally came from a Moosewood cookbook, but we have completely changed it and made it our own. We doubled the lemons and added lemon zest to give it boldness. We switched out basil for thyme, because thyme and lemon complement each other so well. 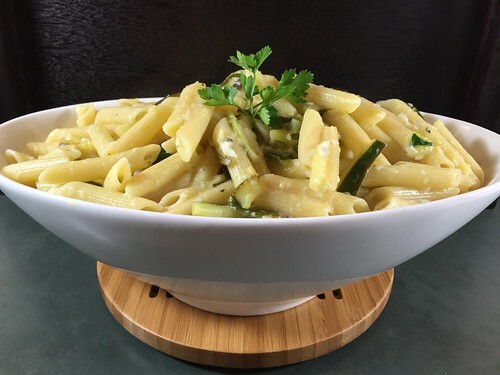 And since we used penne instead of spaghetti, we cut the zucchini into matchsticks, ensuring that you get some in every bite. 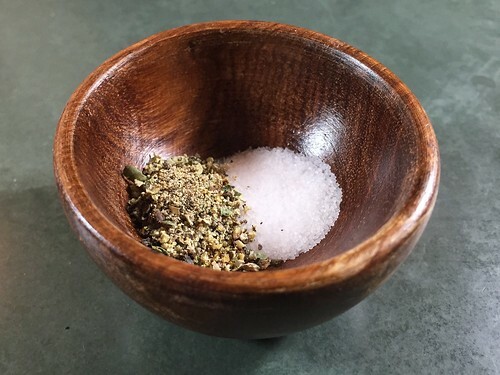 How can a dish that is so simple be this flavorful? This is a perfect example of why you don’t need a lot of fancy ingredients or complex techniques to make a gourmet meal. 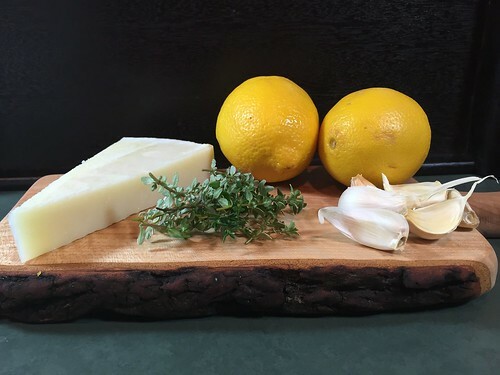 This healthy recipe is going to fill your kitchen with irresistible fragrances of citrus, herbs, and garlic, piquing the attention and appetite of anyone nearby. Thankfully, since this dinner comes together so quickly, no one will have to wait very long to enjoy it. First, combine the water and salt in a large pot, and bring to a boil over high heat. When boiling, add the penne and cook, stirring occasionally, until al dente, about 10 minutes. While the pasta is cooking, heat the olive oil in a large deep skillet over medium-high heat. 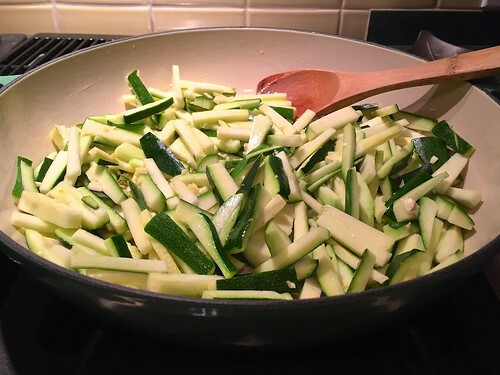 When hot, add the zucchini matchsticks and the minced garlic. 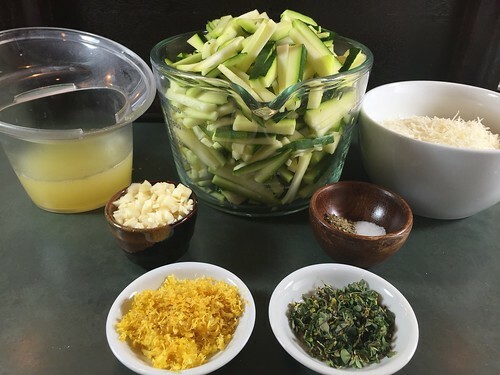 Cook, stirring occasionally, until the zucchini becomes tender and just begins to turn golden. 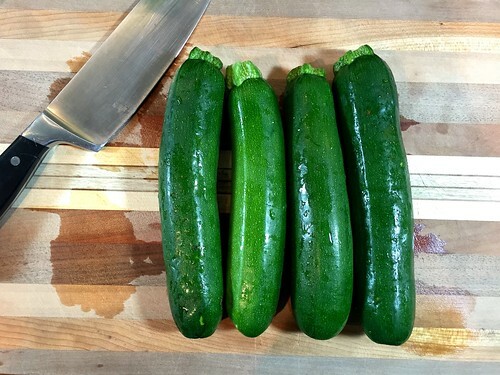 Sprinkle the salt, pepper, and optional red pepper flakes over the zucchini, and stir to combine. Then turn off the heat and quickly stir in the lemon zest, juice, and thyme leaves. By this time, the pasta should be ready as well. Drain it, return it to the large pot, then toss it with the remaining tablespoon of olive oil and the grated cheese. 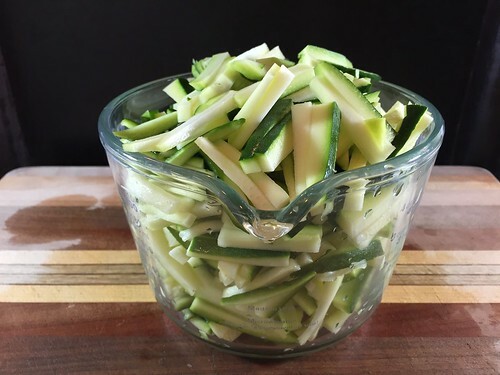 Once pasta is evenly coated, add the zucchini mixture and toss to combine. Taste for lemon, and add more juice if needed. 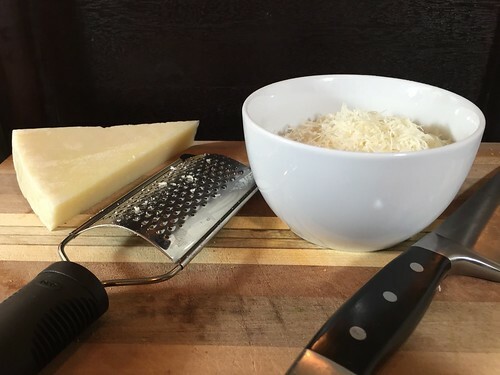 Serve immediately with additional grated pecorino at the table. 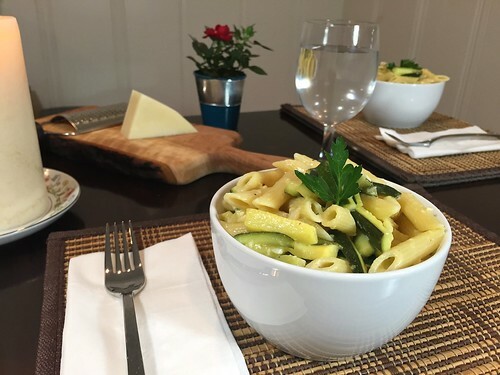 — To make this gluten-free, simply use a gluten-free pasta. I will be serving this to my family as soon as I can find fresh thyme in Costa Rica. Until then I will try it with basil and add tomatoe. Hi Mary! We love hearing that this pasta is going to be made in Costa Rica! Good luck finding the thyme, and let us know how it turns out with the basil and tomato!! Looks delicious! (and heathy)…when’s dinner?? ?